Are you looking for ways to earn money online in India? If yes, then join iPanelOnline India Survey Panel. 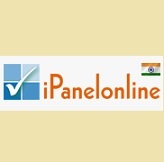 By joining iPanelOnline India Survey Panel you will get surveys from them for which you get points in exchange. These points then can be redeemed for cash or gifts. You can redeem your points for cash through Paypal account. Register yourself here to get surveys. Fill in the required account information like Name, Email, Password etc. Open your Email to activate your iPanelOnline India Survey Panel account. Plus other rewards like iPod, DigiCam and Laptop. It is a professional online opinion collecting company for market survey. It invites netizens to join iPanelOnline India Survey Panel for free to help corporations obtain opinions and suggestions of the consumers. iPanel lets you share your opinions and suggestions fast, conveniently and intelligently. Any survey you participate in will give you between 1-2000 points. iPanel is a reputed Asian online survey company ranked among the top sample companies throughout the world. The online surveys offered by the company are rewarded with redeemable points. So, join the iPanelOnline India Survey Panel today and start doing surveys. Then redeem your points once they reach the threshold redemption point. =>Like India Get Free Stuff on Facebook for more Online Money Making Ways.